Do you want to visit The Red Fort, The Taj Mahal and The Hawa Mahal, all in a row? Avail the Golden Triangle Tours with us at the earliest. 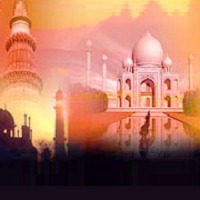 We provide you a fascinating tour comprising Delhi, Agra and Rajasthan in the same order. So if you want to make the most of your vacation, come and avail our Golden Triangle Tours. All in all, it can be your life changing moment to visit the scenic beauty of three places all together. So just hop on the trail to all these three ravishing cities. We are a leading Golden Triangle Tour Agency, engaged in this industry since 1988.